If you are a true art lover, block your calendar to meet your favourite artist every month, that too free of cost. 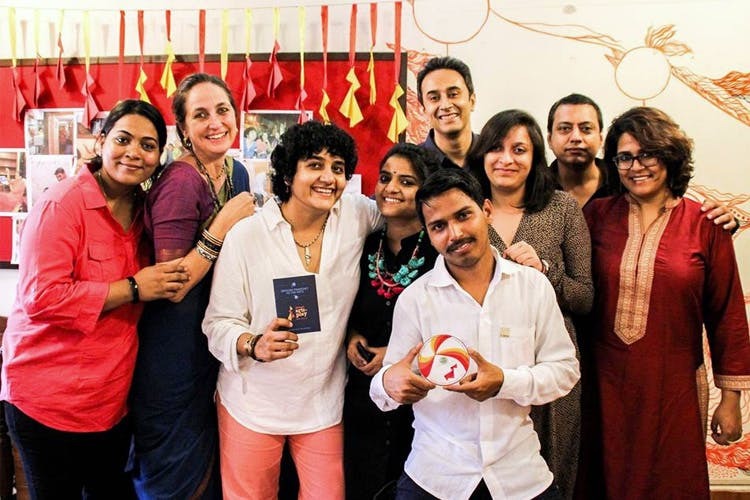 Mumbai Local, launched in January 2014 is a community arts initiative by Junoon theatre with the objective to bring regular monthly programming that will immerse various neighborhoods in Mumbai in unique engagements with the arts. Every month, be prepared to be carried away by the passion of an artist and their love-affair with the art. Get inspired and rejuvenated by the delightful stories and learn fascinating aspects of art and science that they have to offer, followed by Q&A session. The venues of Mumbai Local are Mcubed library in Bandra, the Bhau Daji Lad Museum in Byculla and Kitab Khana in Fort. All events at the Mumbai Local are free and open to all. Join the community page to get daily updates of the events. Don’t forget to catch their next session with Neena Kulkarni on this Sunday at the Bhau Daji Lad Museum between 5-6:30pm. More details about that here. If meeting new artists and attending interactive sessions interests you, then catch the Mumbai Local now.